Through My Eyes: 3D2N Glamping at Sunway Lost World of Tambun, Ipoh. 3D2N Glamping at Sunway Lost World of Tambun, Ipoh. Ahh, this is such a delayed post. Can I blame it on the pregnancy because you know, how carrying another tiny human inside is really tiring, heh. I have been feeling a little too lazy to blog or do anything related to the computer because it gets really uncomfortable sitting for a period of time, so when I have free time, I chose to do things that allow me to lie down instead. Hah. Anyways, here's a little something (not too much info so sorry) on a glamping trip with the clan. It was my dad who found this glamping thing at the Sunway Lost World of Tambun, so credits to him please. He was also the one who planned the entire trip from beginning to the end. 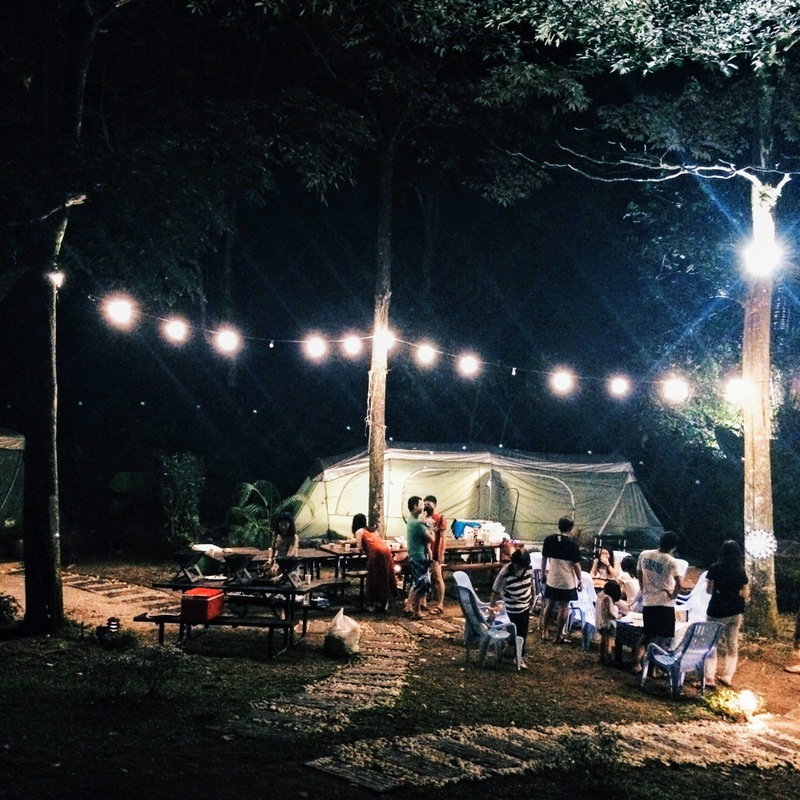 Glamping comes from the two words - GLAM and CAMPING. Camping the not so original way. Heh. Still camping alright, except this one you don't have to set up your own tents or cook your own food. Win. AND YOU GET FIVE BILLION STARS' EXPERIENCE. I cannot remember how much it costs us on this trip, but apparently this price is the revised-new-year-price so it's slightly higher than what we originally paid - not too much of difference I feel. The price shown is for a night only okay. I repeat, A NIGHT ONLY. If you want 2 nights, then just multiply 2 (if I'm not wrong). 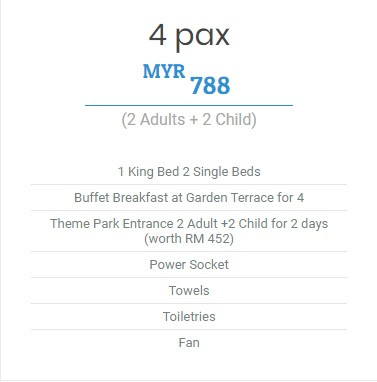 So, if there are 4 of you in a family (2 adults and 2 children), you can just take the 4-pax package at a total price of RM788. 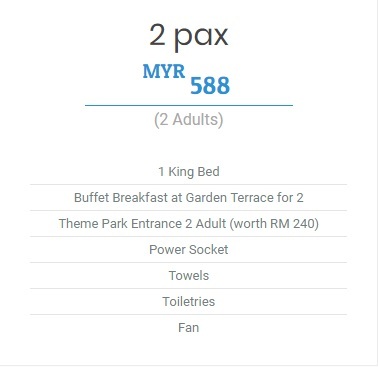 But if there are 4 of you and all four of you are adults (no children), then you will have to take the 2-pax package, which is RM588 and add it with the Add-on package. 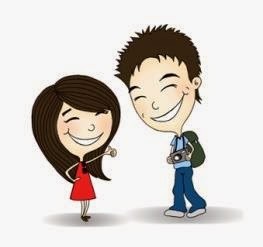 Now before you say that it's expensive, let's see what is included in that price and maybe, just maybe you will feel that it's super worth going for. You will get to enjoy buffet breakfast at Garden Terrace and limitless entrance to the Lost World theme park for 2-days (if you are staying for just a night). Well, you will be staying in the theme park itself so means you have 24-hours access inside. Heh. The entrance ticket also means you get to enjoy their hot springs at night (which is okay-okay only if you ask me). I didn't get into the water because scared the water too hot for tiny human to handle, but apparently, it's really just warm. And there were so many people that time - we went in December right after Christmas Day so that explains the crowd. So, if you ask me if it's worth paying that amount to enjoy the things that you get to enjoy, my answer is definitely yes. You should give this a try. The glamping itself is really a very nice experience. My family and I already made plans to do this glamping thing a yearly thing. Hah. So, upon arrival at the Lost World Hotel (check-in is 3pm onwards by the way), a buggy will be arranged to transport you and your gang into the glamping area, which is located within the Sunway Lost World of Tambun's theme park. So, you are actually staying inside the theme park, like a boss - very close to where they keep the tigers and hippopotamus and the hyenas - just saying. BUT SURPRISINGLY NO FUNNY SMELL WHATSOEVER. Another win. The glamping area is huge and spacious and it's right next to a lake. It's very cooling even in the mid of noon because the place is surrounded by trees and nature stuff. I know, the next thing you going to ask me is, if there were lots of blood-sucking-mosquitoes around since it's so quiet and out in the nature. Well, not that I know of to be honest, and that's because the moment we got there, most of us quickly put on the mosquito-repellent patch on our clothes. So, it's either there were no mozzies around or the repellent patch thing really worked. There are only 8 tents available at this place so, maximum humans that can populate that entire area is up to 32 adults. One tent can cater to 4 people and no, they don't have smaller tents, just in case you decided to go there for like a romantic getaway and only want 2 people in a tent. But yes, a tent of 4 can still only cater to 2 people only. The price also different. Show you all later. All tents come with a king sized bed and two single beds, WiFi to every tent (win again), basic amenities, towel and drinking water. No air-con inside please, but apparently you can request (and pay) for it if you want. We didn't need any of that because it gets pretty cold at night. Yes, there are 2 standing fans in the tents already so you really don't need the air-con. I mean after-all, you are here for the "camping" experience, right? They also provide for you locks so when you are out, you can zip the door and lock it. Also, the glamping area is accessible to public when the theme park is open - so you may want to use the locks for security purpose. We didn't lock our tents because we felt that it was pretty safe and we didn't bring anything valuable so we were not so paranoid, and nothing was stolen as far as we know of. So, no need to worry so much? Just use the locks. For your lunch and dinner, you can opt to eat outside of the theme park and travel to nearby place for food, or you can choose to eat inside the theme park. We stayed in because ain't nobody got time to go out. Heh. My favorite would be the Kukuntalu Hawkers because other food stuffs at Lost World Ipoh Street is so horrible! Except for the curry mee. Seriously. I cannot even. We spent the first night walking around the theme park and taking things at a slower pace because we had just arrived so it was pretty tiring. Then, when we wlked to our glamping site, all tiredness disappeared! Because it was so prettty! I don't even know how to explain it to you guys. The photos are just like 7 out of 10. You have to see it with your own eyes. It was so dreamy and the only kind that you can see in Pinterest. The one thing that we thought was a minus-point was the location of the toilets. It is not very near to the tents, which can be a good thing but in my case, it was not a very good thing. With a tiny human growing inside, toilet is my constant go-to, even middle of the night. So, with it being quite a distance away, it was such a struggle to get up and pee. I was tempted in so many ways to just hold it but that would destroy my kidney so nope. The view from the toilet. Our tents are on the left side where the fairy lights are at. There is also a huge-hut-like place in the middle of the glamping site where you can boil your hot water or purchase can drinks et cetera. They have someone guarding the place throughout the night till morning so no worries. Pretty safe. The daily breakfast at Garden Terrace was pretty amazing if I may say that. I was shocked to see that they have quite variety of stations with food items like cereal bar, Indian corner (serving Puri set and capati), noodle station, eggs station, eastern station and western station. And they tasted pretty good to be honest. On our last night here, we decided to take the BBQ Set package. I forgot how much we paid for it per person, but now, the price is RM100 for every 2 pax. All the food items you see are included. They will also prepare the BBQ pit for you and bring it to you wherever you would want to have it. Drinks also they provide. For our case, we opt to do it right in front of our tents. And the portion that was given was superb. We ate to our hearts' content please. Got leftover some more. There were lambs, fish, chicken, sausages, fried rice, sweet potatoes, salad, nata de coco jelly et cetera. Worth the money okay. 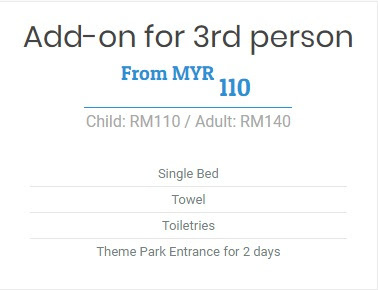 So, conclusion is that if you get to try the glamping experience in Malaysia with a price like this, I don't see why you don't want to give it a try. I can see why a lot of people are concerned about the hot weather here and the fact that mosquitoes are easily everywhere, but in all seriousness, this place is worth the money and your time - just get the repellent patch and if you're so afraid of the heat, you can opt to have the air-con with extra surcharge. So, I would highly recommend this glamping thing at the Lost World of Tambun. Try it and let me know if you will ever go back again for round two! Click HERE to find out more on it or to contact the, directly if you want to do a group booking - they may give you discounts and stuff!